Interlocutor: We are ready to receive the messages. We are listening. Rah: I am Rah and I am again with you to complete the message of the last session. Interlocutor: Is in this moment your thetan here or the thetan of this vessel travels astrally to your world? Rah: The telepathic channeling can be made of two ways. But it’s easier that I travel astrally up to here and the medium “takes me”. Interlocutor: Is there any interference, which may opaque the fluidity of the messages? Rah: There are a lot of interferences. Remember that we are in conflict. It is a very broad spiritual struggle. Most of the beings of your world are not even closer to the image that represents the face of power struggle. There are entities of planes 2 and 3 living twisted in rancor, seeking to transfer blame for their failures in life to others. And they, as well, divert their alleged blame to others. Other spirits of Error, instead of transferring blame, assume the role of victims locking in themselves in total silence and losing interest in everything. Others create more engrams and fortify their rebellion. It’s a conflict that includes all planes, as there are even spirits of Light who return to back down by ambitions for power, because their ego was tempted and bowed to pressure. In the spiritual world, the appetite for power is the most pernicious of all. It is the appetite for power that makes people who have reached very high spiritual levels to back down. No one is immune to that temptation. There are spirits who touch the limit of cruelty and descended to plane -2, called the eighth sphere. Interlocutor: Can you give us more information on the so-called "Eighth Sphere," on which there is much mystery? Rah: It is the densest plane, where each spirit can "feel" the suffering of other spirits. His agony is intolerable; he does not tolerate adding the sorrow of others to himself... until he learns that others suffer as much or more than him. Just then begins his upward path, when he becomes aware that he is not the center. Interlocutor: I believed the Eighth Sphere was the end of the black magician... Was it really so? Rah: There is no such end, because the Divine Mercy does not end life, but provides opportunities permanently. Nor nobody is doomed forever. Even those dark entities of maximum cruelty are not sent to a so-called "eternal fire". They can return to lift their spiritual wealth, because the Absolute also has a place for them. Unfortunately there are spirits who missed the opportunities to grow into the Light and by temptations of power and other processes may fall back to lower levels. Interlocutor: Why is there so much secrecy in this? Why is there so much disinformation? Rah: This is not accurate. There are many messages that have been transmitted by high spiritual Masters to your world referring to the role of the ego and the suffering caused by ignorance... most of those messages have been rejected. Human beings incarnated of your world have a habit of reading books with spiritual guidance, but generally do not apply what they learn. Interlocutor: A question on the sidelines... Is our spiritual group ready to receive all types of messages? I speak of revelations that have not yet been released. Interlocutor: What is the mission of this vessel in this incarnation? Rah: To spread the Words of Light for an accelerated shift of consciousness in your new millennium. This is to correct errors, where protagonism covers the Service. The idea is to raise a lot of people and bring them to the Light. This vessel has a mission to transmit the Word without error, without interference. Obviously, the messages may be "corrected" because when the medium dumps ideas to a spoken language they may have syntax errors. Interlocutor: Are there any incarnated beings of Light on Earth? Rah: Yes, I confirm so. In vibration 1, the so-called material plane, there are beings of Light that are in mission and their thetan could be in plane 5. Interlocutor: I understand that the illusion of being separated is the result of the lower levels and as we lift up, we approach the Unity until finish melted in the Whole ... Is that correct? expression for better understanding – it also happens and it is very, but very high. There are entities that did not learn to absorb energy from the Divine Essence. The Supreme is an "opened tap," where his seminal fluid soaks us constantly, and from there we must drink without bleeding dry our fellows with different roles. Interlocutor: Is there anything else, Rah… that you may want to say? 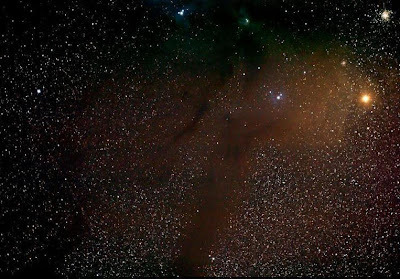 Rah: Yes, the thetan of this vessel and yours have made astral travel to Antares 4, my world, where the sky is green, where it was prevented that technology misused ruin the ecosystem and where everything vibrates in total harmony. Interlocutor: Do you have a good relationship with all neighboring planetary systems? Rah: Despite the fact that our world is an idyllic place, we always keep ourselves alert. We know that other worlds are watching us with thoughts of conquest. There is a planet in the system of Vega and another one in the system of Orion that are permanently thinking of controlling other worlds. Interlocutor: Can they really try something against you? Rah: They can do it because, on the one hand we have a very high spiritual level, on the other we lack the technology needed to avoid being invaded. Interlocutor: When you talk about invasion, is always in reference to the physical world? Rah: Yes, we are talking about the physical world. That would be catastrophic, because if hypothetically they attack Antares 4, as we have cooperation treaties with other planets, it would begin a war of proportions that would involve many systems. Interlocutor: Could that invasion affect even our solar system? Rah: Yes, it could affect it. But let's stop relying on assumptions, since at this moment peace now reigns in the sector of Antares. We have treaties of friendship and exchanges with many worlds and they supervise close systems so peace is not disrupted. I wish to emphasize on the previous subject. Our goal as spirits is the Light, where ego has no place. This spiritual group will receive diverse messages. Do not judge whether some are more important than others, because all will be important if they help each soul to rise. Here I finish my message. Greetings and I leave you with the spirit of Ron Hubbard. OT refers to Operating Thetan. This entry was posted at Sunday, May 31, 2009 and is filed under Heaven Responds . You can follow any responses to this entry through the .